Citation Information: J Clin Invest. 2007;117(2):285-288. https://doi.org/10.1172/JCI31089. (A) The federal research funding pyramid. Only a minuscule fraction of US high school graduates are destined to become recipients of federal research funding. 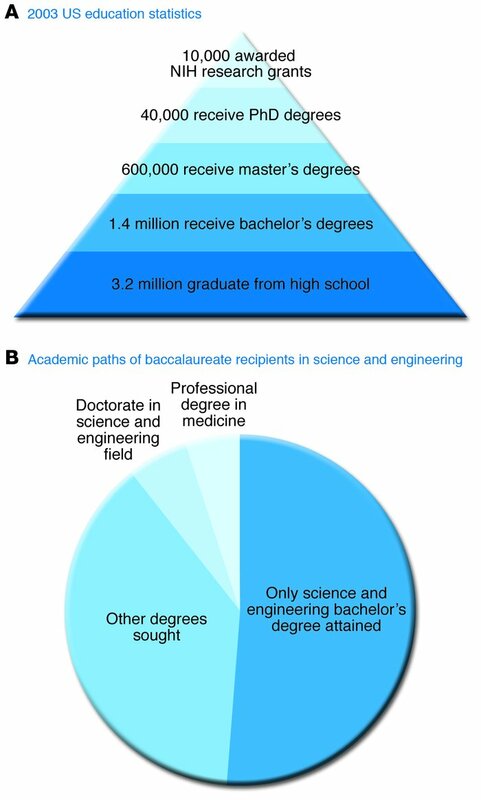 (B) Distribution of baccalaureate recipients in science and engineering by ultimate educational degree attained (2).